The KTM Kamunting Railway Station (Stesen Keretapi Kamunting) can be found in the state of Perak, Malaysia, on the main north-south railway line and is served by regular commuter trains (KTMB Komuter). As of 1/2/2017, the high-speed Electric Train Services (ETS) is no longer stopping here. Kamunting Station used to be the last stop on the new Butterworth to Kamunting Komuter line, but this service has now been extended and now these commuter trains travel on a couple of stops further south to Taiping and Padang Rengas, but now all but a few trains terminates in Bukit Mertajam rather than Butterworth.. There are now many services a day on the Padang Rengas to Bukit Mertajam route. Bagan Serai, Parit Buntar, Nibong Tebal, Simpang Ampat and Bukit Mertajam (with a few trains a day continuing on to Bukit Tengah and Butterworth) - to the north. Taiping and Padang Rengas to the south. With most of these services now terminating in Bukit Mertajam, if you want to travel from Kamunting to Butterworth by train cheaply, you will now have to change at Bukit Mertajam, where you can transfer on to one of the other Komuter Trains routes that travel between Padang Besar on the Thailand border and Butterworth, Penang. 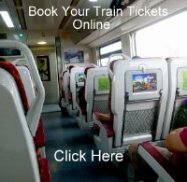 If you want to travel further north to places like Alor Setar and Arau (for the ferries to Langkawi island), Sungai Petani or up to the Thailand border, you can either choose to take an ETS train from Parit Buntar, or a much cheaper option is to take one Komuter Train to Bukit Mertajam and change there for another Komuter which goes all the way to the Thai border. Now the ETS services on the Kuala Lumpur to Padang Besar / Butterworth routes are no longer stopping at Kamunting, you will have to take a KTM Komuter Train to the nearest main station to catch one of these fast trains. Take a Komuter to Taiping where both Gold and Platinum ETS Services stop. You can travel by ETS as far south as Gemas, where you will currently have to change trains to take one of the Shuttle services further south to Johor Bahru (JB Sentral Station). From Johor Bahru you can then change trains to take the short five minute journey over the causeway to Singapore Woodlands Station. All ETS Trains heading south stop at popular destinations such as Kuala Kangsar, Ipoh, Batu Gajah, Kampar, Tapah Road, Tanjung Malim and Kuala Lumpur KL Sentral. A few services then continue from KL Sentral on to Seremban, Tampin and Gemas. To the north (Arau, Alor Setar, Padang Besar etc) you can choose to go by ETS or Komuter Train. ETS tickets in Malaysia can often be sold out well in advance, so make an advance booking if you want to use the ETS services. Visiting any KTM ticket counter at any main station. No advance purchased is available for Komuter services. You just go to the station and buy a ticket for the next train.